We are back with our Sunday Series Review and this time it’s a video one!!! 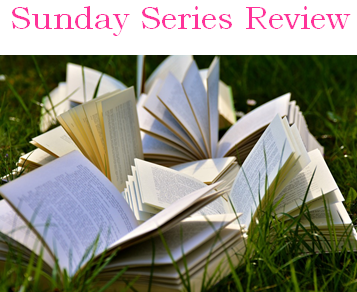 This time Kim reviews the All Souls Trilogy by Deborah Harkness. She rated the series…. 4.8 stars! Deep in the stacks of Oxford’s Bodleian Library, young scholar Diana Bishop unwittingly calls up a bewitched alchemical manuscript in the course of her research. Descended from an old and distinguished line of witches, Diana wants nothing to do with sorcery; so after a furtive glance and a few notes, she banishes the book to the stacks. But her discovery sets a fantastical underworld stirring, and a horde of daemons, witches, and vampires soon descends upon the library. Diana has stumbled upon a coveted treasure lost for centuries-and she is the only creature who can break its spell. J. K. Rowling, Stephenie Meyer, Anne Rice—only a few writers capture the imagination the way that Deborah Harkness has with her New York Times–bestselling All Souls trilogy. A Discovery of Witches introduces reluctant witch Diana Bishop, vampire geneticist Matthew Clairmont, and the battle for a lost, enchanted manuscript known as Ashmole 782. Picking up from A Discovery of Witches’ cliffhanger ending, Shadow of Night takes Diana and Matthew on a trip through time to Elizabethan London, where they are plunged into a world of spies, magic, and a coterie of Matthew’s old friends, the School of Night. As the search for Ashmole 782 deepens and Diana seeks out a witch to tutor her in magic, the net of Matthew’s past tightens around them, and they embark on a very different—and vastly more dangerous—journey.